Sarah A. Bowman, who earned the moniker the “Great Western,” was a Madame, cook, businesswoman, nurse, wife, and mother who made her way around the American West, primarily following soldier camps. She was married several times and also went by the last names of Boginnis, Bourdette, Bourget, Bourjette, Borginnis, Davis, Bowman, and possibly Foyle. She was born as Sarah Knight in 1812 or 1813, probably in Clay County, Missouri, although some sources say Tennessee. Raised on the American frontier, she received no formal education and is believed to have been illiterate due to her use of an X on business and census forms. Some records indicate that she married a man named James McLin in Clay County, Missouri in March 1841 and it was then that she began her career as a camp follower when he was assigned to fight during the Seminole War in Florida. At that time, Army rules stated women married to soldiers could follow the troops. They helped with meals, washed clothes and tended to the sick and wounded. During this war, she was said to have become a favorite of General Zachary Taylor. Physically, Bowman was an unusually large woman, standing six feet tall and reportedly weighing about 200 pounds. She was described as “a remarkably large, well-proportioned strong woman, of strong nerves, and great physical power.” Despite her considerable size, she was said to have been very attractive, had an hourglass figure, and was quite graceful. She had long dark red hair that matched her temperament and her eyes were grey-blue in color. She was nicknamed the Great Western, for a British trans-Atlantic steamer that was the biggest ship of its day. 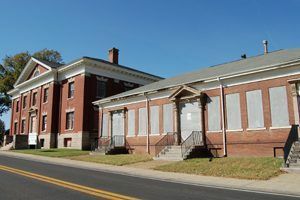 Whatever happened to her first husband is unknown, but by 1845 she had married a second time to a soldier named Borginnis who had enlisted at Jefferson Barracks, Missouri. The first documented record of her occurred the same year when she signed on as a laundress at Jefferson Barracks. The position included food, shelter, and the opportunity to earn a salary three times that earned by an Army private. 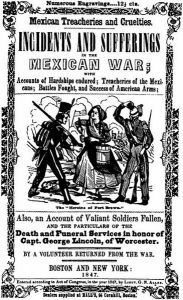 She then followed the troops as they made their way to Corpus Christi, Texas before the start of the Mexican-American War. By the time they arrived, she had also taken on the responsibilities of cook and nurse in addition to laundry. The army remained encamped along the Nueces River until March 1846 when they received orders to advance to the Rio Grande. Though her husband was ill, she left him behind, purchased a wagon and mule team, and followed the army. The first encounter between American and Mexican forces came on March 21, 1846, during the crossing of Arroyo Colorado. As the Americans approached the steep embankment, bugles rang out on the other bank accompanied by the warning, “Cross this stream and you will be shot!” Further, the Mexicans tautened and called into question the ancestry of the Texans. Sarah was enraged and rode to the front and telling General William Jenkins Worth, “If the general would give me a strong pair of tongs (slang for men’s trousers,) I’d wade that river and whip every scoundrel that dared show himself.” Inspired by her bravado, the American troops made the crossing and routed the Mexicans. General Taylor was then able to push his men all the way to the Rio Grande, where he ordered his men to build Fort Texas across the Rio Grande from Matamoros, Mexico. It was manned by 500 men of the 7th Infantry with Major Jacob Brown as the regiment commander. Sarah’s husband was here and she operated an officer’s mess. In the early morning of May 3, 1846, when General Taylor and many of the troops were away from the fort, it was attacked by the Mexicans. The women and injured were immediately ordered to an underground magazine, but Sarah refused to go. Instead, she cooked and delivered food and coffee to the soldiers and nursed the wounded. She was twice shot at but continued her duties, and then some. On the third day of the siege, the commanding officer, Major Jacob Brown, was struck down. 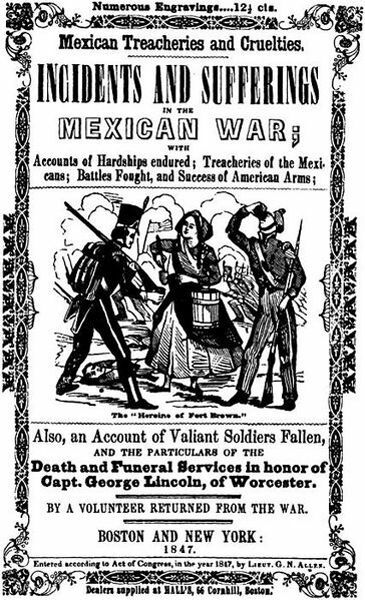 The Mexicans then seized the opportunity to attack in force and sent some 5,000 men forward. Sarah then fought alongside the American soldiers, helping to load the cannon. When the US line began to weaken, she promised them that “Zack” would be back soon and luckily, he was. When Taylor’s forces arrived, he and his men defeated the Mexicans in what is called the Battle of Palo Alto on May 8, 1856. 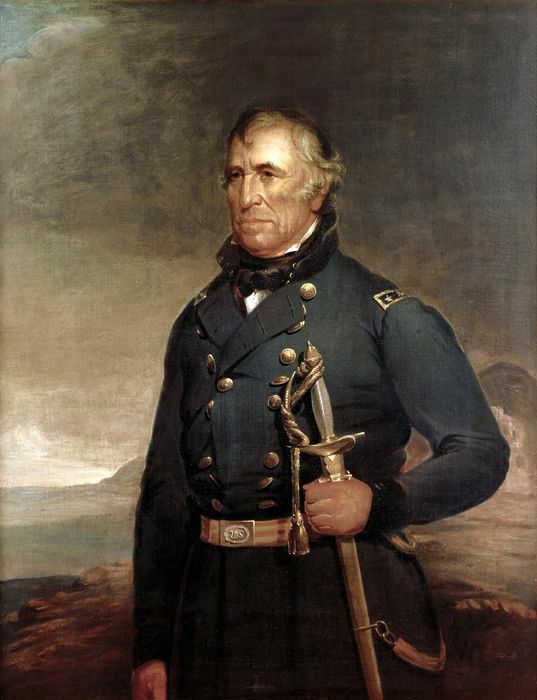 Afterward, the fort was renamed for the fallen Major Brown. Following the siege, Sarah came to the attention of U.S. newspapers who named her the “Heroine of Fort Brown”. Stories of her exploits were published as far away as Philadelphia, Pennsylvania and New York City. Afterward, Sarah briefly established a boarding house in Matamoros, Mexico called the American House. 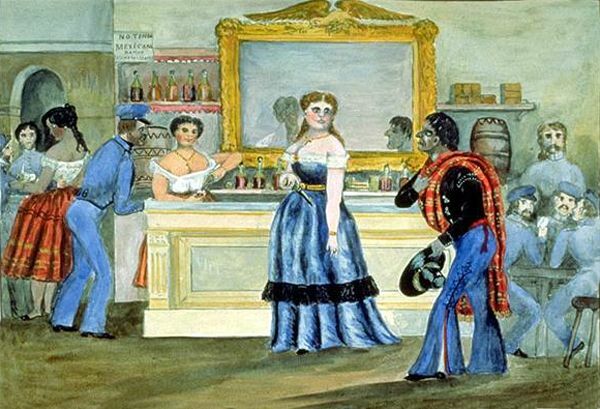 In addition to food, lodging, and stables for soldiers’ horses, the establishment also served as a saloon and brothel. Becoming quite popular, one soldier described it as “the headquarters for everyone”.